We want you to determine your political views based on facts, not partisan politics, myths, misinformation, or outright lies. In this article, we’ll dig into the data around gun deaths and violence and gun control. The first thing to note is that Obama and Scalise are using different language to talk about similar topics. While Obama is talking about gun deaths at the state level, Scalise is talking about gun violence at the city level. This is an important distinction not only for geographical reasons, but because gun violence is a broad term that can cover more than just fatalities (robberies, for example). Further, what we see happening at the city versus state levels can be vastly different. 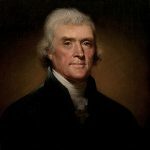 Thomas Jefferson once said, “If a nation expects to be ignorant and free in a state of civilization, it expects what never was and never will be. An informed citizenry is at the heart of a dynamic democracy.” That’s why education, specifically as it relates to fact-based information, is critical for maintaining our country’s freedom. This data does in fact confirm the accuracy of President Obama’s claim that states with stricter gun laws tend to have fewer firearm-related deaths. However, it’s worth noting that this data includes suicides. According to the CDC, in 2013, there were a total of 33,636 firearm fatalities, 63 percent of which were due to self-inflicted gunshot wounds. Now it’s time to explore gun violence at the city level. In 2014, the Pew Research Center published a report that found that while Chicago had a lot of murders in terms of raw numbers, smaller cities actually had a higher rate when adjusted for population. Using data collected by the FBI, the Pew Research Center determined that the cities with the highest murder rate in 2012 were Flint, Michigan; Detroit; New Orleans; and Jackson, Mississippi. Chicago placed 21st on the list. But that’s for murder. What about non-fatal shootings? 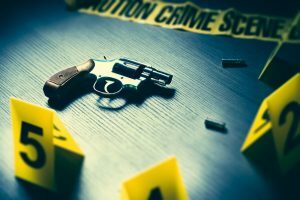 According to the Major Cities Chiefs Association, which collects data from the country’s largest law-enforcement agencies, St. Louis had the highest rate of non-fatal shootings in 2015, followed by Memphis and Oakland. Chicago placed 12 out of the 68 cities on the list. While it’s certainly true that Illinois has stricter gun laws than many other states, it’s not true that it has the worst gun violence overall. Has Chicago experienced recent spikes in crime? Yes. But as criminologist Gary Kleck points out, correlation does not necessarily equal causation. On the flip side, there are certainly other factors to consider here as well. These numbers count all gun-related violence, including those from weapons obtained illegally—meaning that at least some portion of them would not be impacted by changing laws around obtaining guns legally. At the same time, this data does show us a clear and compelling correlation between stricter gun laws and fewer gun-related deaths.